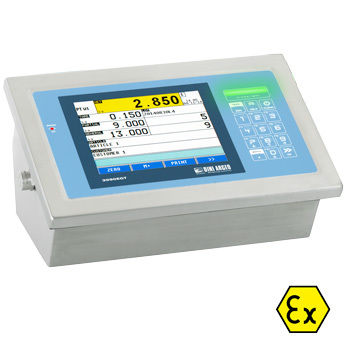 3590EGTC3GD: Stainless steel weight indicator with colour touch screen display. 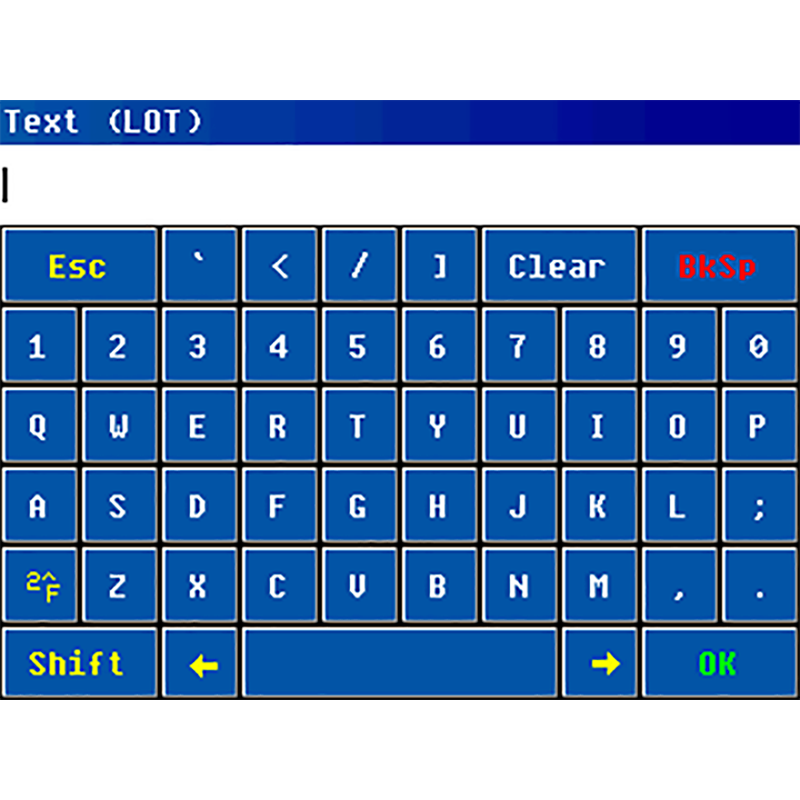 QWERTY keyboard integrated into the Touch Screen display. One RS485/RS232 serial port, for connection to printer, PC, PLC, or digital load cells. 4 optoisolated outputs, up to 16 with optional board. 2 optoisolated inputs, up to 8 with optional board. Profibus interface to install in safety zone. ATEX II 3D Ex tc IIIC T85°C Dc IP68 X for dust. Suitable for advanced industrial applications, it's fitted with 3 serial ports, configurable printouts and integrated alibi memory. CE-M approvable (OIML R-76 / EN 45501). Power supply from 110-240Vac line or external rechargeable battery (recharge in safety zone). 3590EGTC3GD Colour Touch Screen indicator, ATEX 3GD, with AF01 software. Stainless steel waterproof IP68 case. Protection degree: ATEX II 3G Ex nR IIB T6 Gc X for gases and ATEX II 3D Ex tc IIIC T85°C Dc IP68 X for dust. Fitted with manuals and conformity declaration (available in IT, EN, FR). DCATEX3590E3GD Declaration of ATEX conformity of whole. Ex II 3GD IIB T6 T115°C X system, with relative label of whole system, for Dini Argeo 3590E3GD ATEX weight indicator connected to a mechanical structure with ATEX load cells (each cell must be certified with CCATEX option). ATEX CONFORMITY DECLARATIONS will be supplied in English.